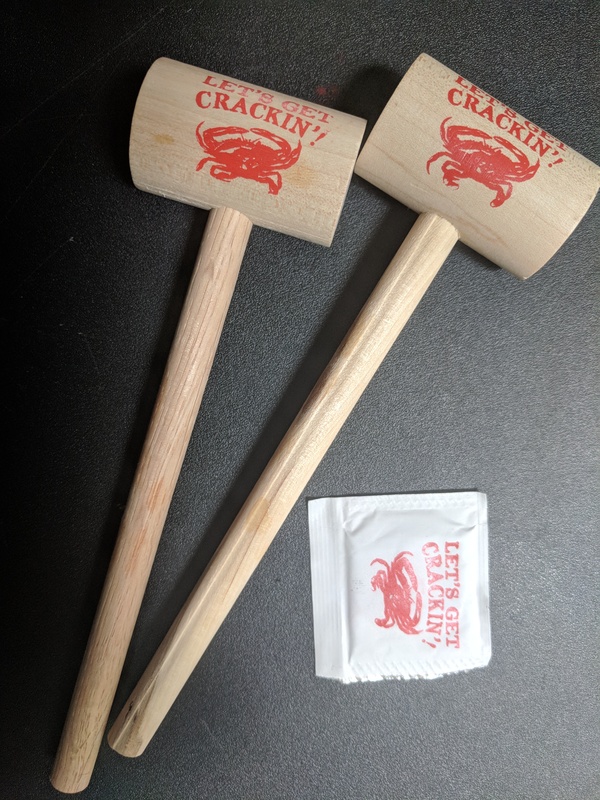 Let's Get Crackin' - An essential tool for every crab boil and feast! 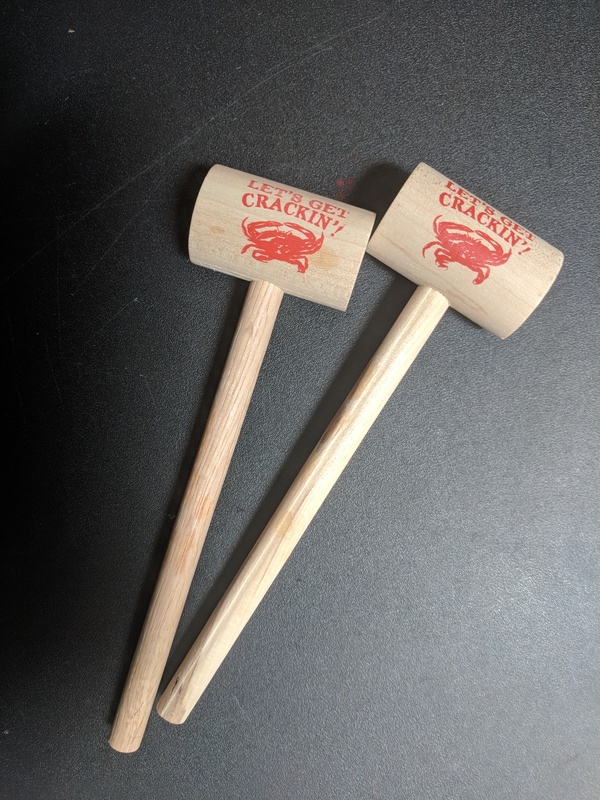 Inexpensive wooden mallet. 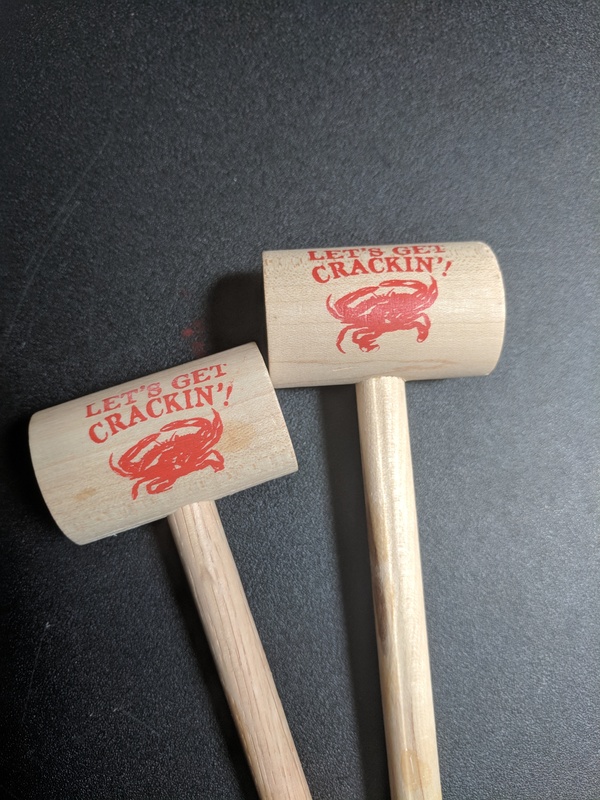 One side of the head is imprinted with our stock design: LET'S GET CRACKIN'! CRAB in red ink. Have fun and make sure all of your guests have the tools then need at your event! Approximate 2-3 Day Production Time + Ship Time from New Jersey is the total time to receive your order. Need it sooner? Select the appropriate rush production / expedited shipping.